Scratch at knowledge and invariably a mystery lurks just beneath the surface. It?s his indefatigable and passionate pursuit of these mysteries, his insatiable curiosity of the world around him and his unique and finely tuned story telling abilities that have earned Richard Syrett the moniker, Canada?s Art Bell. First, foremost, and always a broadcaster. Richard?s writing, story-telling, and interviewing skills, infectious enthusiasm and the ability to stare down chaos and confusion with a smile make Richard a rare and valuable media commodity. He has been producing fresh, compelling and provocative talk radio in Toronto, North America?s fourth largest market, for nearly 20 years. After graduating top of his class from Centennial College?s Radio and Television Broadcasting Program in 1992 he began working almost immediately at one of North America?s blowtorch stations, the legendary CFRB AM 1010. He received his ?doctorate? in broadcasting working as the producer for such talk show legends as Larry Solway, Ed Needham, the late Brian Linehan, Andy Barrie, John Oakley, Michael Coren, Jim Richards and Spider Jones. In 1999 he took over the microphone for the first time with his own talk show and by 2000, his arcane Sunday night program examining political intrigue, the dark side of geo-politics, cover-ups, corruption, alternative energy, alternative health and unexplained phenomenon, had become an appointment tune. In 2003, his special brand of talk was chronicled on the front page of The Globe and Mail?s Review section (Canada?s national newspaper) and that spring his show earned a 13 share in Toronto?s very competitive market. Later in 2003, Richard left CFRB for cross-town rival, AM 640 to build and produce an edgy, funny new morning show and continue his own unique show on Friday nights. The show continued to be a ratings grabber, drawing a larger audience than the stations? hockey broadcasts of the city?s beloved Maple Leafs. Richard was lured back to CFRB in early 2007 to host five nights a week. Over its two year run, it garnered a dedicated, even zealous, following. He consistently beat his rival in the market, the behemoth Coast to Coast by as much as 2 share points. When Richard?s show was suddenly and unexpectedly cut from CFRB?s line-up as part of a ?corporate reorganizing? Richard?s devoted listeners organized and staged a rally outside the radio station in minus 30 degree weather! Despite being off the air, his past, archived RB shows continue to be downloaded from his website. One of his last shows in December of 2008 has been downloaded in excess of 31,000 times. Richard has obviously struck a chord with a huge market and has become the new voice of alternative talk radio. Richard is not, however, a one-note wonder. As a whimsical impressionist, he had created followings for his fictitious characters during his morning show producing stint and he is recognized for his political acuity. Only heard him once - but liked him a LOT. i'd love to see him back on. Hell - I'd love to see him take Noory's job! That makes two of us, Ev. I thought that Syrett did a great job. In fact, I'd take him or *any* of the hosts over Noory. Like someone else once said, ABN (anybody but Noory). I read on another forum this week that Richard Syrett is back on the radio in Toronto, but is is only one night a week. I am sure he is available for relief host the rest of the days. . . . I read on another forum this week that Richard Syrett is back on the radio in Toronto, but is is only one night a week. I am sure he is availabe for relief host the rest of the days. . . .
We should be so blessed. Richard Syrett is back on the air with a brand new show, The Conspiracy Show with Richard Syrett on The New AM 740 Zoomer Radio in Toronto. Tune in every Sunday from 11pm to 1am beginning August 16th. With 50,000 watts of clear-channel broadcasting power The New AM 740 has a huge coverage area, extending throughout southern Ontario, from Windsor to Kingston, north to Parry Sound, and south deep into the United States. You can also catch the live stream Sunday nights at 11pm at www.am740.ca The Conspiracy Show with Richard Syrett brings you the most compelling, addictive radio anywhere on the airwaves. Each Sunday night at 11pm Eastern Richard delves into unexplained mysteries, political intrigue, cover-ups, alternative energy, alternative health, forbidden archaelology, UFOS and aliens, ghosts, goblins and things that go bump in the night. The Conspiracy Show with Richard Syrett on The New AM 740 Zoomer Radio... Your Sunday nights will never be the same. HOLLY COW THEY HAVE HIM ON OPPOSITE KNAPP! 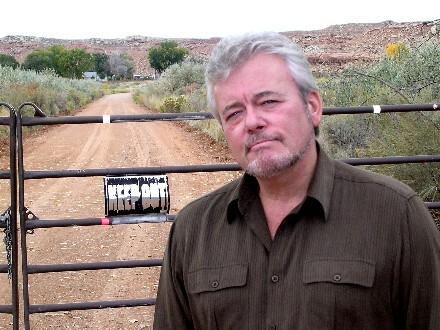 George Knapp is the de facto Knight of the Art Bell quality of broadcasting, with or without the same level of exposure. Richard Syrett was really good. I wrote the producers as much. This is my first post BTW. For those who may remember, I'm the guy offered to buy George Knapp a table dance. Richard welcomes an expert in emerging viruses to discuss the mystery illness currently causing a state of panic in Ukraine. Some reports are claiming that this mystery illness is a more virulent form of the H1N1 swine flu. Other reports are linking the mystery illness with typhus, ebola hemorrhagic fever or even the pneumonic plague. The latest numbers out of Ukraine indicate that 1.25 million people have now contracted what is being called "the mystery flu". Over 65,000 of those have required hospitalization and 239 are officially reported to be dead. As the situation in Ukraine continues to become more dire, many health experts continue to be absolutely perplexed as to why the WHO continues to refuse to release the sequences from the samples taken from patients in Ukraine well over a week ago. Meanwhile, there has been a dramatic spike in flu cases in neighboring countries such as Russia, Belarus and Bulgaria. In addition, a dramatic increase in flu cases is being reported in Serbia, Norway, India and Canada. In many of these nations there are reports of the flu virus absolutely disintegrating the lungs of patients just like it is doing in Ukraine. Richard speaks with a leading UFO Disclosure Advocate about reports that K Street in, D.C., in Washingtois is abuzz with talk that White House officials may admit early in 2010 that the earth is being engaged by off world civilizations. K Street is a major thoroughfare in the United States capital of Washington, D.C. known for the numerous think tanks, lobbyists, and advocacy groups that exercise influence from its location. Guest: Steven G. Bassett is a registered lobbyist for UFO Issues in Washington, D.C. He has spent more than a decade trying to get Congress and the Executive Branch to reveal what they know about UFOs. Bassett is the Executive Director of the Paradigm Research Group. He is a leading advocate in the nation for ending the 61-year government imposed truth embargo regarding an extraterrestrial presence engaging the human race. He is a political activist, lobbyist, commentator and columnist. He is the founder of the Paradigm Research Group, the Executive Director of the Extraterrestrial Phenomena Political Action Committee (X-PPAC), the creator of the Paradigm Clock and the executive producer of the X-Conference. His work has been covered extensively inside and outside the United States. 11:45PM MAN-MADE GLOBAL WARMING: MYTH OR REALITY? Richard speaks with a pioneering climatologist who has loing argued against the theory that man's activities are causing global warming. They'll discuss the upcoming UN-led climate change meetings in Sweden starting December 7th. They'll also discuss the contents of leaked email communications between scientists at The Climate Research Unit of the University of East Anglia (aka Hadley CRU) , allegedly obtained by a computer hacker. Guest: Timothy Ball is a retired university professor and global warming skeptic. He heads the Natural Resources Stewardship Project and is the former head of Friends of Science an organization skeptical of human-caused global warming. Sadly, Richard Syrett has never been asked back to guest host another show - my intuition tells me the producers received a lot of positive feedback - George got wind of it - and, presto, Syrett is out of the game. Oh, George, poor, insecure, feeble and small-minded George. If I had to place a vote on a permanent replacement for Snoory, Richard Syrett would get my vote in a macro second. I couldn't agree with you more. I also remember Richard guest hosting, and yes indeed he did a superlative job. I really enjoyed him...well, I enjoy ALL my men, honey! Strictly a guess here - I wonder if his being a Canadian has anything to do with preventing his further involvement in C2C. I didn't catch that one. Does anyone know a rough date so I can try and track it down? Well I listened to it, and thoroughly enjoyed it. Right questions at the right time. Very slick style as well. I've just downloaded a couple of his podcasts and they're also very good. Richard Syrett is simply fantastic - the best paranormal/conspiracy host on the air, in my opinion. Richard Syrett - The Conspiracy Show is broadcast from Toronto, Canada every Sunday night from 11:00 p.m. to 1:00 a.m. on AM740 radio. U.S. citizens living in the northeast can pick the show up. He also broadcasts his show on television in Canada, on the Vision Channel. Here are a few links for Richard Syrett. I highly recommend if you can catch his show, then do it. Intelligent, articulate host, no bumper music, no ignorance or stupidity. Thank you, b-dubb, correct. There are times when I'm posting here in a rush. That said, I feel harassed here by the grammar police state. Here is a great interview with Richard Syrett - 'A Voice For Canadians'. It includes a wonderful seminar he gives at the the Toronto bookstore, Conspiracy Culture. You may or may not agree with his views, but he is without a doubt a refreshing change. Toronto also is home to a very cool bookstore, Conspiracy Culture, which offers a wide range of paranormal/conspiracy related books, DVDs, and other materials. My friends checked it out when they were in Canada and said the store was great and that the owner (who is a good friend of Richard Syrett) is quite intelligent and engaging, too. Hey JohnnieB, thanks so much for posting these Richard Syrett links. I enjoyed watching them, and will def download his past shows and have a listen to them. I absolutely love Canada and Canadians - they rock! The, Innocetn had 0thing to feel. A, E, I, O, U, and sometimes one must ask Y? Thanks, JohnnieB, for the info. I'm going to check it out on my next Toronto visit. I'll get there for their 11:11 am store opening.